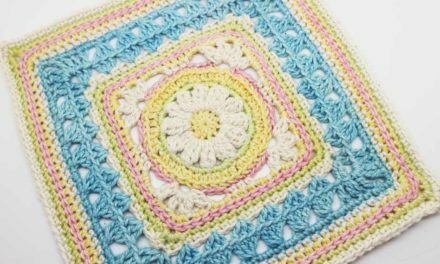 This pattern was designed by Jessie Van In of Projectarian and is co-hosted with Hooked on Sunshine. Meet Orbit the baby dragon. She shakes you warmly by the hand with her squidgy little chubby pink paw! Orbit is pleased to meet you – you can tell by the ways she puffs stars from her smiling snout! 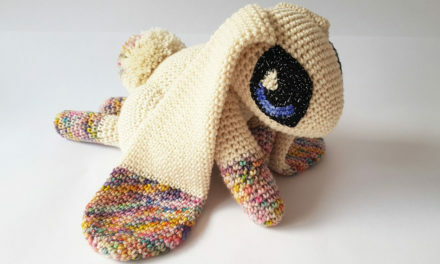 Orbit the dragon, is a free Amigurumi CAL (Crochet – Along) – which started on the 21st of June 2018 and is now complete. Click on the FREE download/purchase button below and your pattern will be accessible in your personal pattern library, to access as you need. This pattern uses US terminology with metric and imperial sizes. Designed using Double Knit (8ply) Marino. This digital pattern includes a photo tutorial – the pattern includes tips for the skills required to complete Orbit. (Intermediate: Involved stitch pattern, color work, and/or shaping). Although Orbit is rated as an intermediate pattern, don’t be scared to try it no matter what your skill level! The pattern has been thoroughly tested by the HOS team, to make sure it’s concise and easy to follow. Along with eliminating any bugs, Jessie has also added over 100 high quality photos to the pattern, to make it accessible to all skill levels. If you happen to get stuck, you can always ask for help in our fb group! Orbit is a free CAL – is free, you can download by click on the purchase button bellow. If you would like to contribute toward developing more free CALS and helping to keep our website advertising free – you can make a contribution or purchase the collated version of this pattern (Collated into one PDF file). Click here to download this pattern from Ravelry. (Please note that we can only offer limited support with Ravelry downloads issues).